Gemini 4 spacecraft on display at the National Air & Space Museum in Washington, DC. Gemini 4 featured the first US space walk. 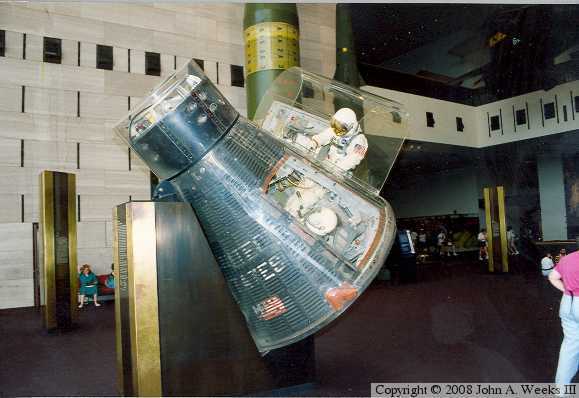 It is displayed as it would look as astronaut Ed White was leaving the Gemini spacecraft at the start of his space walk.